Ok. 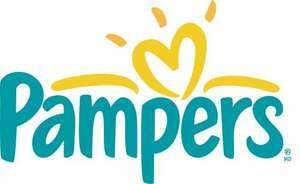 So Tesco are running thier pampers 2 for £22 offer. Earlier this evening i got 2 boxes and other bits and bobs which gave me a Sub-Total £34.77. After taking off the Multibuy savings which came to £13.98, i paid a total £20.79. Found that a bit strange as the nappies alone should have been £22. I had no other offers or multibuys in the remainder of my shopping. I went through a normal till point so not sure if it is available online or on the self checkouts. Is it a glitch for all to enjoy or did i just get lucky? Sorry about poor picture quality. you got a good deal - 2 packs for £12, can we ask what size nappies you bought, please? Might go back myself Kuggy. you got a good deal - 2 packs for £12, can we ask what size nappies you … you got a good deal - 2 packs for £12, can we ask what size nappies you bought, please? I think they were Active Fit size 5 or 5+. Dont want to go upstairs as evetyone is asleep. Hang on, i'll go out to the recycle bin. Ok Active Fit Junior Size 5 box of 62. Hope that helps everyone. anyone going to try and get some delivered? 2 confirmations on MSE. I'll update this deal then on their behalf! Just went and tried this at my local store (Exeter). Works with Active Fit nappies (size 3, 4, 4+ and 5) perfectly. Remember to look through your coupons (I had one from Tesco Baby club for £3 off and 3 that came from various leaflets for £1 off each), I paid £18 altogether. Just bought 6 boxes online! Very happy. Thanks op!! Wont they just charge full price on picking? That's what I thought. I'm sure they will as they'll soon clock on & fix the glitch. So how many nappies is that per box? I always aim to get less than 10p per nappy and stock up till the next offer comes. So how many nappies is that per box? 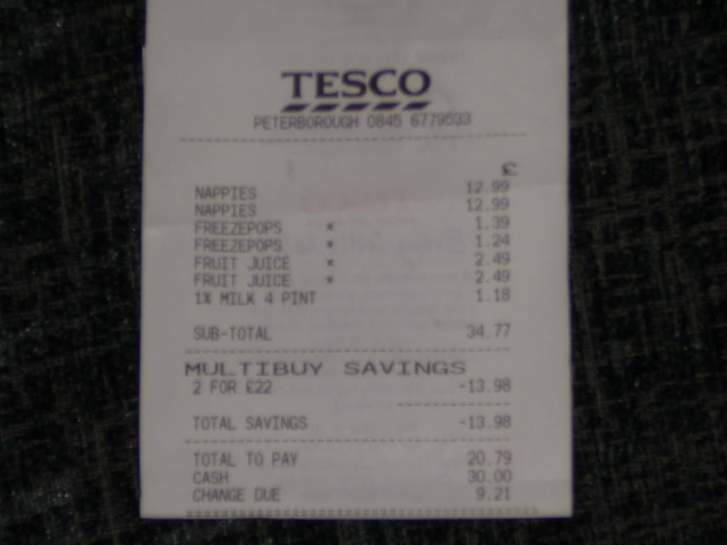 I always aim to get less than 10p … So how many nappies is that per box? I always aim to get less than 10p per nappy and stock up till the next offer comes. Me too! Just waitin for DH to get out of bed then I'm leavin him with my monkey n I'm off to Tesco! Anyone know at one time of day they update their tills? Hot can confirm offer on acti fit size 4+ at bidston tesco.